If it were a crewed mission, it would probably be better suited for Jacques Cousteau than John Glenn. This is because the destination, Jupiter’s icy moon Europa, is covered in an ocean which has been estimated to contain more water than all of the oceans on Earth combined. The distant celestial body is considered to be one of the best targets in the Solar System for harboring extraterrestrial life. NASA is moving forward from concept review to development in the first mission the agency has planned to travel to the far-flung world. 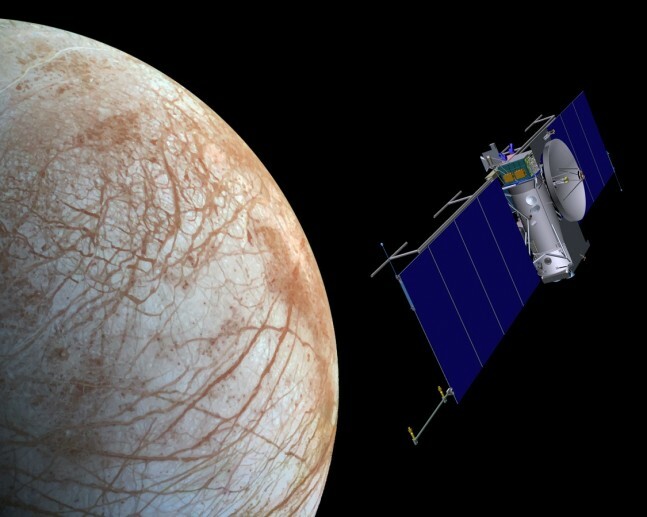 NASA plans to send a spacecraft to Europa to conduct a detailed survey of Europa and determine whether it is habitable today. This mission has recently completed its first major review and is now entering the development phase, known within the industry as “formulation”. If everything goes according to plan, NASA hopes to launch the mission sometime in the 2020s. After traversing through the asteroid belt and out to Europa, it should orbit the enigmatic world about once every two weeks. This should provide scientists with multiple flybys, perhaps as many as 45, giving them high-resolution images of the surface. From these images, scientists can better determine what the crust is made of and what lies beneath. Strong evidence of Europa’s ocean, which is encrusted within an icy shell, came from NASA’s Galileo mission in the late 1990s. It has been determined that the gravitational interaction between Jupiter and the planet’s other three large moons causes tidal heating of Europa’s interior – providing the energy essential for the possible formation of life. 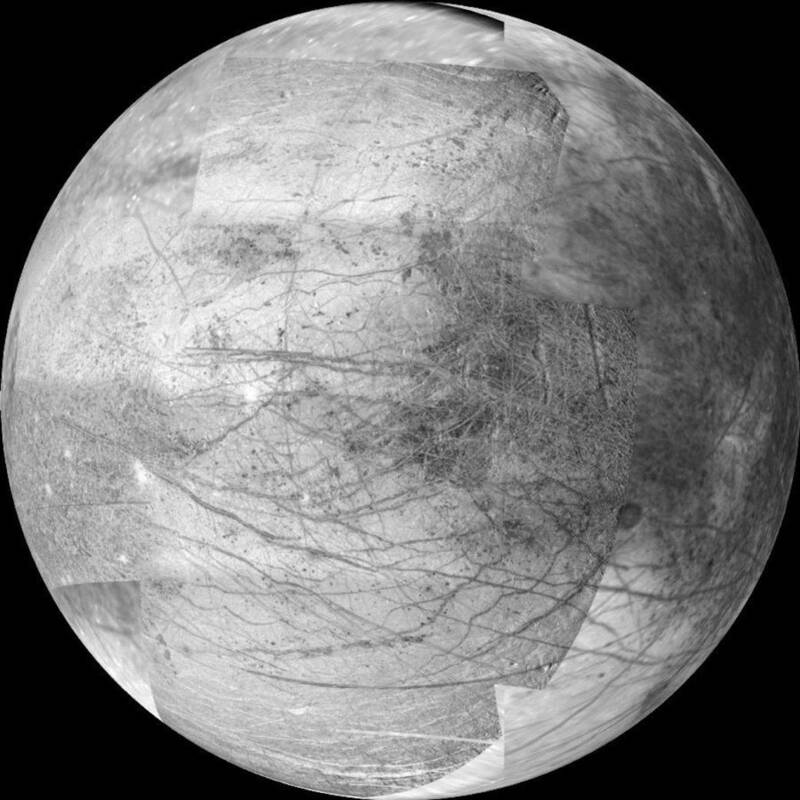 When one adds a rocky seafloor, chemicals, and energy, it is thought Europa could support simple organisms and possibly more complex lifeforms. This is not the first time that NASA has sent probes to the largest planet in the Solar System. On Dec. 3, 1973, Pioneer 10 conducted its closest pass of the gas giant before flying out into the cosmos. Two spacecraft, Voyager 1 and Voyager 2, conducted flybys of Jupiter in 1977. More recently, in the 1990s, the Galileo spacecraft spent an estimated eight years studying the massive world and its fleet of natural satellites – before being commanded to enter Jupiter’s atmosphere, where the enormous planet destroyed and consumed the tiny spacecraft. This new mission will work to expand the knowledge gained from these prior flights. NASA’s Jet Propulsion Laboratory, along with the Johns Hopkins University Applied Physics Laboratory, has been developing this new spacecraft since 2011.